From a 200-watt audio system to a turbine that generates electricity to power a touchscreen, the latest bike technologies are catching up fast with their four-wheel counterparts. Motorbikes and bicycles have always stood for the purebred freedom of travelling. Bikers have always vouched for how much more fun the two-wheelers are than the comfort of heated, insulated cabins. While the truth behind such claims are highly debatable (depending on your preference, of course), one area where cars have always outdone bikes is when it comes to technology. The latest cars all include elaborate infotainment and safety systems, and are now gradually veering towards Internet-connected infrastructures to take the journey of technology forward. Not to be left behind, bikes are gradually catching up with cars - from 200-watt audio systems to a rather fancy wind-to-electricity generation concept, when it comes to technology. The latest gizmos add much to the form as well as function in bikes, which is also what makes the engineering special, because of the space constraint to put screens and other elements in bikes. Nothing, though, is impossible in the face of technological advancements. 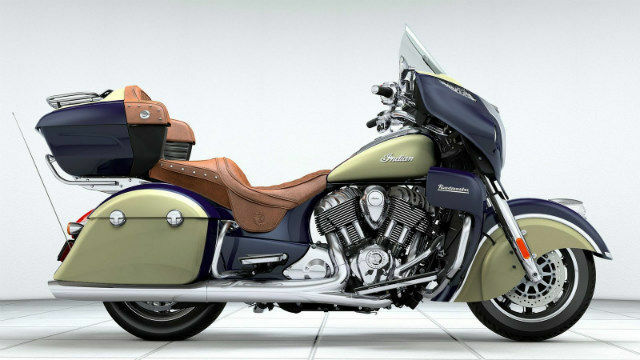 To get proof that bike technology is no mere pushovers, you only need to look as far as Indian Motorcycles' flagship. The Indian Roadmaster is a luxurious novelty in the biking world, and as a result, it really is no surprise that this one includes one of the most impressive tech packages in the entire biking world. The long list of technology in the Roadmaster luxury cruiser includes electronically operated front windshield, ABS, cruise control, a remote locking trunk (! ), tyre pressure monitoring unit, heated seats and grips, 15-LED indicators and a 7-inch touchscreen infotainment system. This system offers a 200W stereo audio system, smartphone compatibility via Bluetooth and USB, FM/AM playback, a real time clock, weather with ambient temperature readout, audio and technical information display, and a full-fledged navigation unit. Harley Davidson is making an all electric bike! 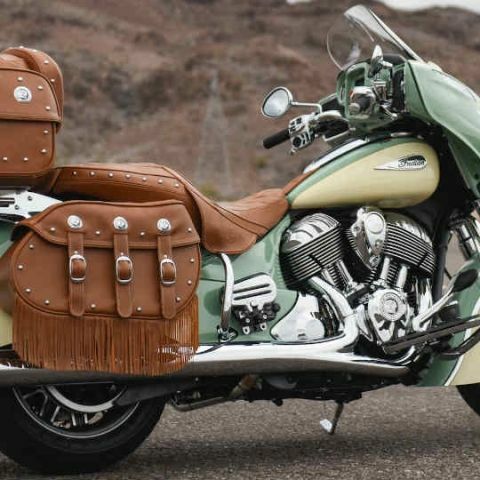 One look at this behemoth will tell you that this is not one for the everyday lugging, and Indian has truly gone out of the way to load it with… well, everything. 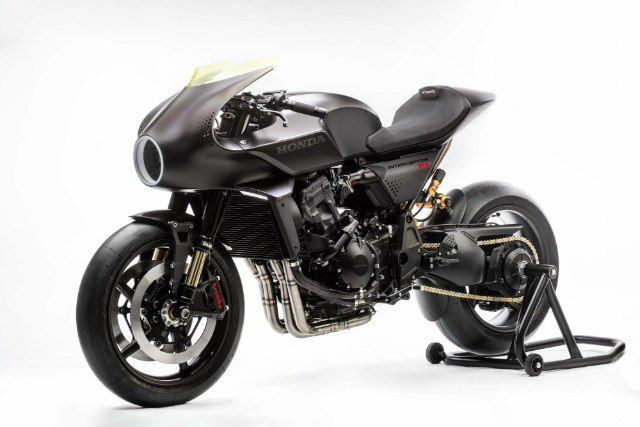 On to a concept for the future, and what Honda’s design centre in Rome has come up with is a futuristic take on what a retro cafe racer would be. While it does look smokin’ hot, and is something that any bike lover would simply drool over, what had us intrigued was its ‘lit’ turbine unit placed where the average joe expects a headlamp. This small turbine is lit with strong LEDs to illuminate the path ahead, and the fan itself converts the bike’s kinetic energy into electrical energy to power a fuel tank-mounted touchscreen. We’re not entirely sure what advantages that might have, but it is certainly quite cool to see this rather effective piece of operation. Bear in mind, though, that this is a concept, and chances are slim that this will reach production stages. There aren’t enough details on the rest of the bike’s tech, but we do expect the touchscreen to be a smartphone-mirroring infotainment unit. 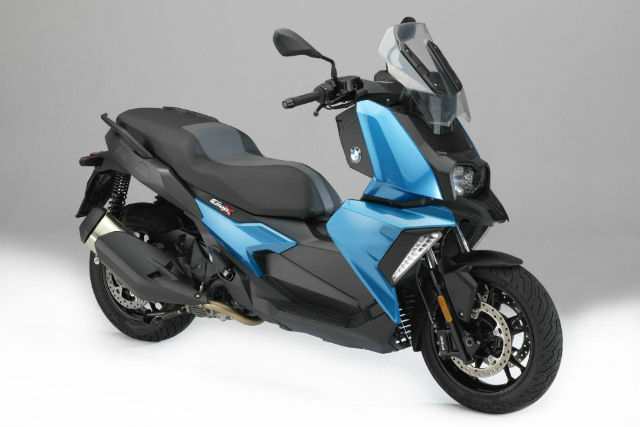 BMW Motorrad’s latest take on the mid-sized scooter segment is a premium commuter that is loaded with all the latest gizmos that you can think of. To begin with, the 34hp single cylinder engine is mated with a CVT gearbox, along with ASC and ABS to emphasise on safety. It also gets BMW’s new LED headlamp with DRLs, a 6.5-inch multi-colour display that shows vehicle information and connects to phones via Bluetooth, and an integrated navigation system that relays directions via arrows. The infotainment system is not a touch unit, but facilitates calling and music playback functions via buttons. What more, you also get app connectivity to access the scooter’s settings from your phone itself, which makes it ready for future connected infrastructure. It may seem a bit overloaded for a scooter, but the BMW C400 X is meant to be an urban intra-city commuter, and for that, it fits the shoes perfectly. It would be impossible to talk about the latest technologies coming to bikes, and not mention Harley Davidson. The pioneering company has designed a retro-fitting infotainment system for its bikes, calling it the Boom! Box. Two flavours - Standard and Premium offer 4.5-inch and 6.3-inch displays respectively, and has a rich array of features to accompany long cruises. The Boom! Box system includes a bike-mounted speaker setup, and you can pair your phone to this system via Bluetooth (or USB) to get audio feedback via the speakers, or wireless headsets. You get FM/AM channels, Internet radio options (like SiriusXM), Bluetooth music playback, calling and SMS readout, a voice command transceiver, and even an integrated graphic sat-nav! 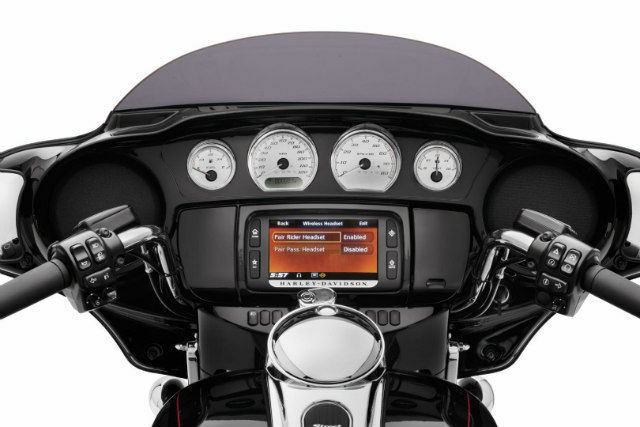 Harley also offers good customisability, including display and keyboard customisation with a host of colours and different layouts, choosing audio outputs, and almost everything that a car’s infotainment system can do. 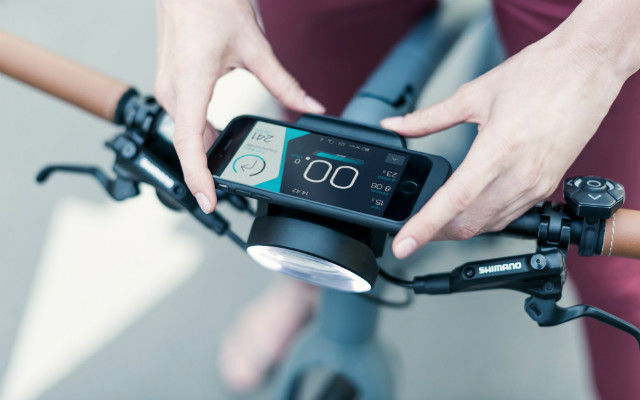 Cobi calls itself the ‘world’s smartest connected bike system’, and provides a full suite of peripherals and apps for bicyclists. The Cobi Connect suite is centered around smartphones, and to begin with, provides a mount with a rugged, protective, rain-proof, charging case to slip your smartphone in. This is also accompanied with a five-way controller, so that you do not have to reach out for the touchscreen while on the move. Once mounted, you can connect your smartphone to a wireless headset, and switch on the Cobi app. This app provides a dashboard display showing tripmeter, speed, gradient, AmbiSense front headlight and rear light, navigation, music control, phone connectivity, and a fitness section that relays heart rate and calories burnt. Furthermore, Cobi’s data syncs with Apple Health and Google Fit, which would allow you to merge your existing fitness data to your biking ones. You also get an electronic bell that emulates the standard bicycle bell. In essence, the Cobi Connect is possibly the first all-inclusive infotainment system, designed solely for bicycling enthusiasts. 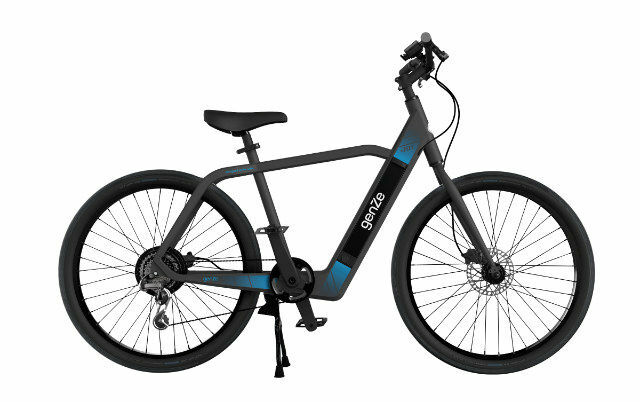 The GenZe 200 Series e-bike takes much of the goodness of Cobi’s after-market bicycling infotainment solution, and provides it as an integrated feature. The GenZe 200 Series e-bike gets an integrated LCD display to show you travelling data, and simultaneously comes with a connected app that provides extended data such as battery range, navigation routes, ride history and fitness data. The connected smart bike is one of the first smart bicycles being factory-fitted with connected services, and comes in purview of connected biking which is gradually being introduced across the world, to improve two-wheeler safety. Alongside, the GenZe 200 also gets throttle and pedal assistance, to make the bicycling experience smoother than what basic e-bikes offer. To facilitate the use of a smartphone while riding, GenZe also fits it with an integrated USB charger and mount to keep your phone charged and held in place during mountain hikes.